As a GP you will develop a wide knowledge base across medical disciplines and use it to serve communities in dynamic medical practices. Your vocational training with GPTQ will give you the best start on this exciting career path. Your learning begins here. A pathway for non-vocationally registered doctors to achieve RACGP fellowship. Find out about the qualifications that enable you to practise independently as a GP. Combine medical research with your GP training. Train with GPTQ in general practice across urban, metropolitan and rural areas. Pursue your medical interests with training posts in a sub-speciality. We’re here to ensure your learning experience is rewarding and fulfilling. Experience diverse and challenging medicine in rural and regional Queensland. Become skilled at managing Aboriginal and Torres Strait Islander patients. Find out about the pay, conditions and costs for GP registrars. Can I do the AGPT program part-time? Yes. However, by default when applying for AGPT training you are considered full-time. To train part-time you need to apply to your regional training organisation (RTO) for approval. Find out more about training part-time here. How do I apply for part-time training with AGPT? You must submit a formal written application for part-time training to your regional training organisation (RTO). Typically, part-time registrars also need to submit a ‘part-time training hours confirmation form’. Find out more about part-time training here. Can I change my GP training to part-time or full-time? minimum of 14.5 hours a week with RACGP and 19 hours a week with ACRRM. What is the part-time load for GP training with AGPT? The Australian General Practice Training (AGPT) program defines full-time participation in GP training as 38 hours per week. This includes all practice time, AGPT education and program activities. The two GP colleges – ACRRM and RACGP – have different criteria for part-time registrars. RACGP: The RACGP requires part-time registrars to undertake a minimum of 14.5 hours per week over at least 2 days, with a minimum of 10.5 hours of face-to-face, planned patient consultation time per week. ACRRM: ACRRM requires part-time registrars to work at least 19 hours per week. Can I transfer my training to another RTO after I accept a place on the AGPT? Generally, you will be expected to complete your AGPT program within the training region – and so with the RTO – that you first started training with. However, there are certain circumstances under which a transfer to another RTO will be considered. Refer to the AGPT Transfer Policy for more information. Generally, no; deferring the start of your training is not permitted. However, if there are exceptional circumstances or your need is in line with legislated requirements of maternity, paternity or parental leave, you can apply to your regional training organisation (RTO) for leave. Find out more about the AGPT Program Leave policy. I would love to start GP training at the start of the training year I am applying for but I wish to take the first year off or defer it till the next year? training on Category 1 leave. Refer to the AGPT Leave Policy. I want to do more hospital time at the start of the training year that I am applying for. Do I have to defer my training or can this time count towards my training? Both the Australian College of Rural and Remote Medicine (ACRRM) and The Royal Australian College of General Practitioners (RACGP) require a minimum of 12 months’ post-intern hospital training in an accredited hospital post to meet their criteria for training and assessment. Both ACRRM and RACGP also require you to complete a paediatric requirement and mandatory hospital rotations. Your hospital time will count towards your training so you would not need to defer. Find out more about prerequisite training you need to complete before starting your GP placements. How is the Australian General Practice Training (AGPT) program funded? The AGPT program is fully funded by the Australian Government Department of Health. It is the only medical specialty training course that receives full funding from the government. How does the AGPT program fit in with the two colleges for general practice? The AGPT program meets the standards set by both the Australian GP colleges. The colleges set and administer their own exam and assessment processes for the award of GP fellowships following the completion of the AGPT program. They also award recognition of prior learning. Fellowship in Advanced Rural General Practice (FARGP), which is completed alongside the FRACGP. If you choose the Fellowship in Advanced Rural General Practice (FARGP), you complete the FRACGP with some specific rural requirements and a fourth year of training that incorporates the Advanced Rural Skills Training term, completed in a rural or remote location. GP fellowship of either college leads to specialist general practitioner registration in Australia, allowing you to practice independently as a GP anywhere in Australia. The selection process for AGPT training from the 2018 intake onwards is conducted separately by the two colleges, with each college determining the selection process for its candidates. Find out more about the selection and application process. Explore general practice training options. How long does the AGPT program take? The AGPT program takes between three and four years full-time to complete. This may be reduced with recognition of prior learning (RPL). It may also be completed on a part-time basis. The AGPT program enables you to complete a GP fellowship, and the duration of training depends on which one you pursue. The standard Fellowship of The Royal Australian College of General Practitioners (FRACGP) takes three years to complete. If you choose the Fellowship in Advanced Rural General Practice (FARGP) from RACGP, you complete the FRACGP with specific rural requirements and a fourth year of training that incorporates the Advanced Rural Skills Training term in a rural or remote location. The total length of training for a FRACGP and FARGP is four years. If you choose the Fellowship of the Australian College of Rural and Remote Medicine (FACRRM), you will need to complete four years of training, including a year of Advanced Specialised Training. You are entitled to take leave from the AGPT program as per the AGPT Programme Leave Policy. How is the AGPT program delivered in Australia? 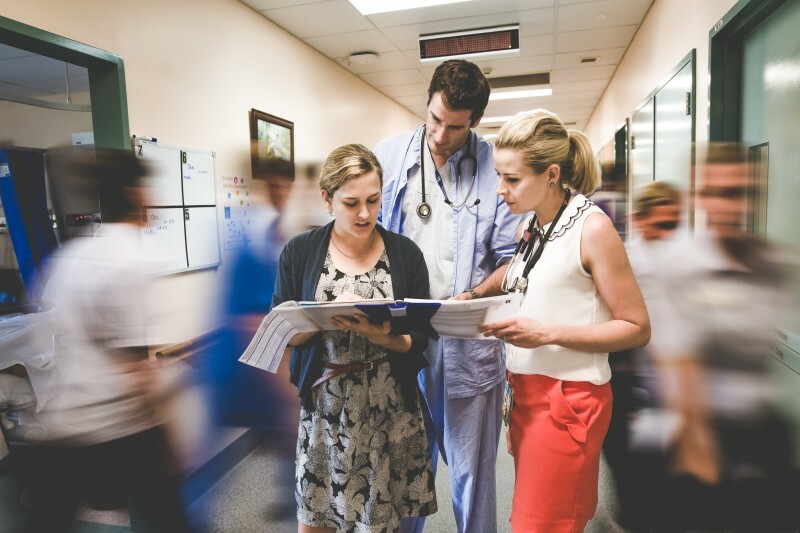 The Australian General Practice Training (AGPT) program is delivered by a national network of regional training organisations (RTOs), such as GPTQ to a curriculum and standards set by the Colleges (RACGP and ACRRM). Get more information about your training options for completing the AGPT program. AGPT stands for Australian General Practice Training program. The AGPT program is a postgraduate vocational training program for medical graduates wishing to pursue a career in general practice and/or rural and remote medicine in Australia. The AGPT program is fully funded by the Australian Government Department of Health. Find out more about the AGPT program in this short video. Read out more about the AGPT on their website.